48th Avenue Southwest has a Walk Score of 17 out of 100. This location is a Car-Dependent neighborhood so almost all errands require a car. This location is in Federal Way. 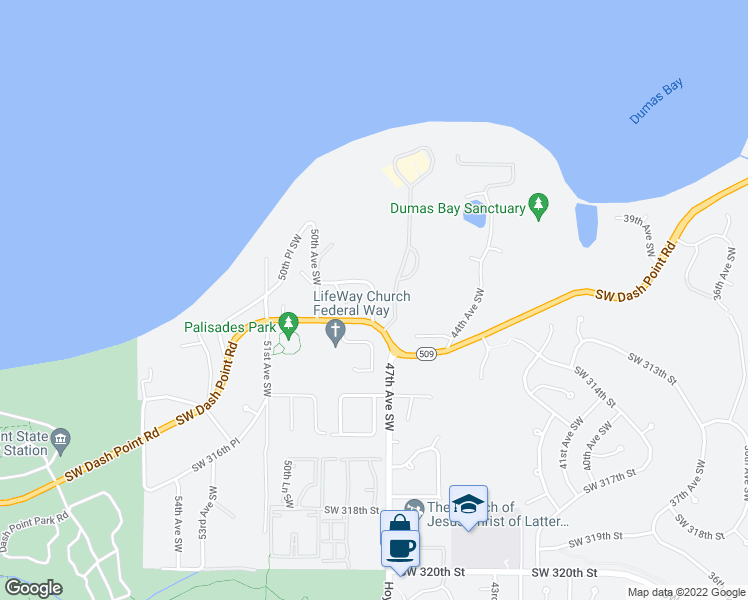 Nearby parks include Palisades Park, Dumas Bay Park and Dash Point State Park. Explore how far you can travel by car, bus, bike and foot from 48th Avenue Southwest. 48th Avenue Southwest has minimal transit which means it is possible to get on a bus. Beautiful 3 Bedroom Home in Great Location! N Tacoma 3bdr 2 bath Beautiful Rambler!